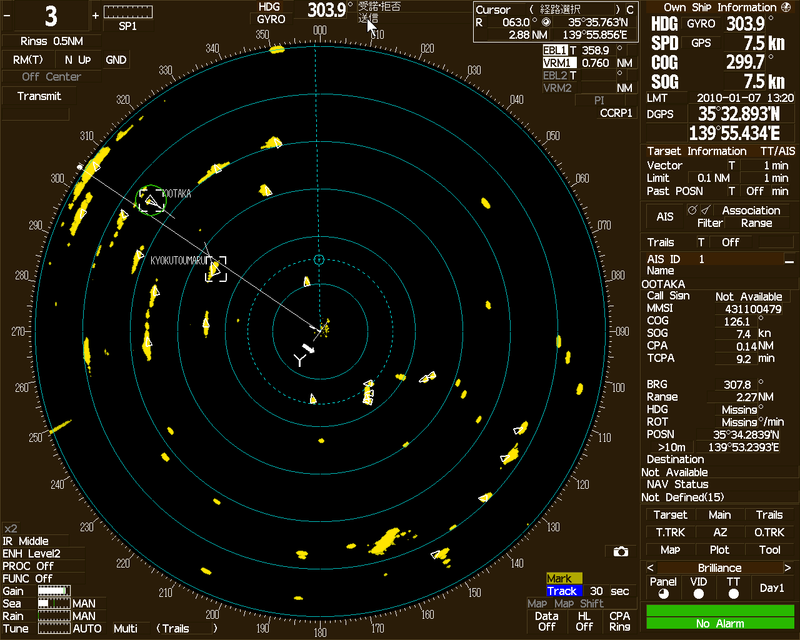 Radar Add-On using display arrows of intended passing pattern of target ships, showing on demand. Need care for displaying too much information on the Radar. Radar display limits the ability of displaying additional data. It may be beneficial to add data layers on Radar, but this need to be limited and data needs to be carefully selected.